Located at the western side of Khari Baoli, Delhi’s Sadar Bazaar is the largest and leading wholesale market of household in the city. Other goods such as toys imitation jewellery and stationary is also the buzz for retail shoppers. The bazaar (market) remains crowded throughout the day. Though it may be chaotic, but a visit to it essential. One can find the real glimpse of Delhi here. Just before Diwali, the famous light festival of India, the Sadar Bazaar also becomes cracker bazaar. 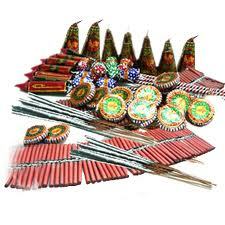 Delhites buy crackers from this market at economical prices on Diwali year by year. Sadar Bazaar of Delhi started initially covering a small area and only catered to the necessities of the people living in the nearby area. With time the bazaar expanded in space, volume and density of goods. With more about Sadar Bazar in Delhi is the main supply source for crackers that resound throughout the city on the eve of the Diwali. The market becomes so busy with hordes of people buying the crackers, that it is often difficult to ask for the prices of the crackers that they buy. Even the roadside vendors selling phuljharis allow you no time for negotiation of prices. Each year the cracker market at Sadar Bazaar has something new to offer. This year it is selling sky items such as the 1000-shot sky shower. It is the hottest bomb and it also costs a bomb, a cool Rs. 8,500. the prices are negotiable. The market remains open six days a week, excluding Sunday, from 11:30 am to 6:00 pm. Sadar Bazaar is easily reachable from any location of the city. Delhi Main is the nearest metro station and Old Delhi Railway Station is the nearest railway station. Public busses, cabs and auto-rickshaws are also available from different corners of Delhi for Sadar Bazaar.